Lisa graduated from the Mayo Clinic School of Health Related Sciences in 2002. Prior to starting with ExercisABILITIES in 2013. Lisa spent the previous 11 years working as an acute care hospital physical therapist at Mayo Clinic prior to coming to work at EA. She shares her expertise for working with seniors with us, specializing in treating many senior related issues such as balance education and falls prevention, Parkinson’s Disease, and arthritis joint pain. 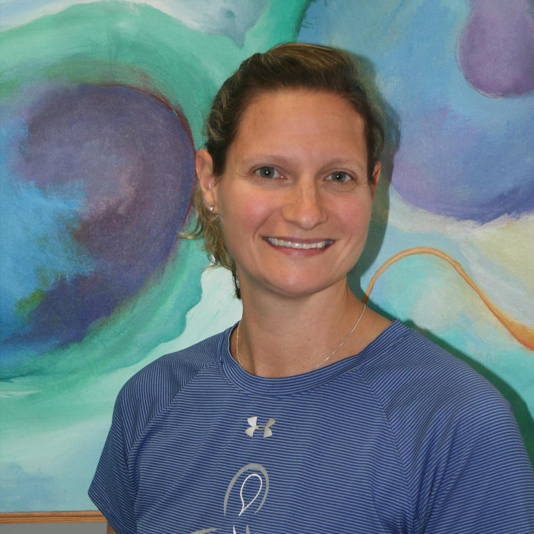 Lisa has advanced training in aquatic therapy intervention and enjoys using the water as an option to add to treatment options. Student education is also a passion for Lisa as she serves as the EA Clinical Coordinator for Education. In the community, Lisa is a member of the Olmsted County Falls Prevention Coalition as well as enjoys teaching Stepping On classes for falls prevention education. Over recent years, she has assisted with review and creation of up to date fall prevention protocols and been able to speak on those topics in 2010 and 2012 at the MNAPTA conferences. Lisa is a busy mother of three who enjoys spending time with her husband and 3 children. In her free time, she shares her love of music and as a vocalist at church, weddings, and other local venues..